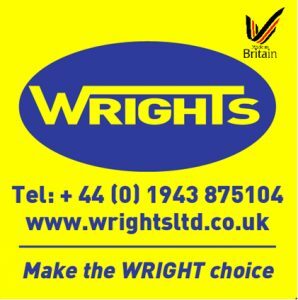 Wrights Recycling Machinery Limited are a British manufacturer of recycling machinery. The family run business designs and manufactures its own range of cable stripping machinery, granulators and shredders for waste, ferrous and non-ferrous companies. We have a network of partners throughout the world that enable us to supply car balers, shear balers, alligator shears, grabs & handling equipment, demolition shears, portable hydraulic cutters, paper/ plastic reel splitters and much more. We have a network of agents throughout the world, selling our range of cable strippers, granulation systems and shredders, with the reassurance of a full back up service from the UK they have every confidence in selling our equipment. Our onsite design team, are able to design bespoke recycling systems to suit clients requirements, we then manufacture and install recycling systems at clients works. Russell Ridley is the founder of Wrights Recycling Machinery, with over 40 years’ experience in metal recycling, Linda his wife and children Jason and Naomi all work for the company, all bringing their individual strengths to form the company, we are confident we can cater for all your recycling requirements. Our team of engineers have a combined total of 96 years’ experience working with Wrights, bringing together a knowledgeable team ready to serve you. Our experienced staff are here to help and advise you from your first enquiry for recycling equipment, right through to installation, spares, service and repairs.